Office Depot, a global retailer of office products and services, is demonstrating that, as outlined in its environmental vision, it is both possible and lucrative to “increasingly buy green, be green and sell green.” In fact, Office Depot is so focused on its vision, the company has developed a full suite of green initiatives (including rolling out a waste reducing XLERATOR® hand dryer in its retail store locations) that have improved sustainability and reduced Office Depot’s overall environmental footprint. Green merchandising and purchasing: Office Depot is the first office supply industry retailer to introduce a green brand, dubbed Office Depot Green (launched in April 2008), which includes everything from recycled paper and remanufactured ink and toner cartridges to Compact Fluorescent Lightbulbs (CFLs). Consumers are now able to simply identify green products and learn how to ‘go green’ in their own offices by visiting a store in person, browsing online (www.officedepot.com/buygreen) or reviewing the company’s signature Green Book™ catalog. Office Depot also recognizes and awards those customers that drive high demand for green products, and maintains stringent internal corporate guidelines to purchase and use green materials for its own operations (such as recycled paper and Energy Star-qualified products) wherever possible. Energy reduction: By investing over $20 million in energy and efficiency initiatives within the company’s retail stores, Office Depot reduced its electricity usage and carbon-dioxide emissions from its North American facilities by over 10% between 2005 and 2006, thus saving an estimated $6.2 million in electricity costs. Realizing the strong ROI – Office Depot has implemented these same initiatives in its “Green” store location in Austin, Texas. Fuel reduction: Between 2005 and 2006, Office Depotreduced greenhouse gas emissions from transportation by 9.4% in North America by switching to fuel efficient Sprinter Vehicles and administering a RoadNet software program. As a result, Office Depot was selected as one of 34 companies to receive the Environmental Protection Agency’s Environmental Excellence Award. Solid waste reduction: Office Depot established a chainwide recycling program in its North American retail stores to recover paper, cardboard, plastic, and metal. The company’s headquarters in South Florida features a waste program that handles 80% of its end-of-life materials. 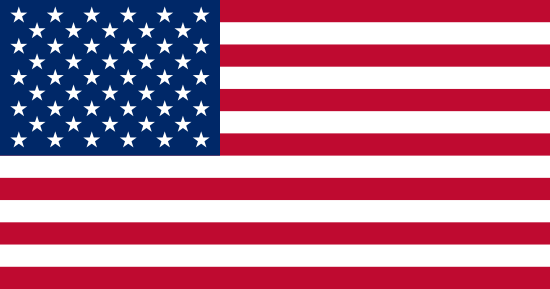 Building green: To further reduce waste, energy and fuel related to construction, Office Depot became a member of the United States Green Building Council (USGBC) in 2007. As part of this partnership, Office Depot agreed to adhere to USGBC Leadership in Energy and Environmental Design (LEED) standards for all future store construction. In June 2008, Office Depot opened the company’s first “green” (soon to be LEED certified store), located in Austin, TX. (Still under evaluation, the store aims to qualify for the Silver or Gold LEED rating.) Among other features, the Austin store boasts solar panels, high-efficiency lighting, high speed energy efficient hand dryers, recycled flooring, and high-efficiency HVAC, and serves as a model for future retail construction. Office Depot’s building prototype specifies how the stores will be built and what products will be used throughout. Everything from high-efficiency lighting, plumbing and recycled building materials are being incorporated into existing stores and included in all new store construction projects. And since office restrooms generate paper waste as well as printers and copy machines, Office Depot’s bathrooms are designed for maximum energy efficiency and minimum waste. 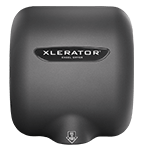 One of the many products newly specified in the Office Depot construction prototype, presently in use in 140 store locations across the United States, is the XLERATOR hand dryer. 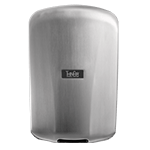 Unlike conventional hand dryers, which average 30 to 45 seconds of drying time, the XLERATOR dries hands three times faster (completely in 10 seconds*) and uses 80% less energy than conventional hand dryers. 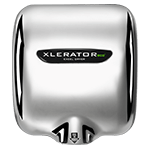 XLERATOR also delivers a 95% cost savings when compared to paper towels, is the first hand dryer to achieve GreenSpec® listing and helps facilities qualify for LEED® credits. Excel Dryer, manufacturer of the XLERATOR, created customized covers for the specified dryers that feature Office Depot’s logo and a message detailing the company’s commitment to sustainability. Every day, Office Depot is Taking Care of Business for millions of customers around the globe. For the local corner store as well as Fortune 500 companies, Office Depot provides products and services to its customers through 1,680 worldwide retail stores, a dedicated sales force, top-rated catalogs and a $5.0 billion e-commerce operation. Office Depot has annual sales of approximately $15.4 billion, and employs about 49,000 associates around the world. 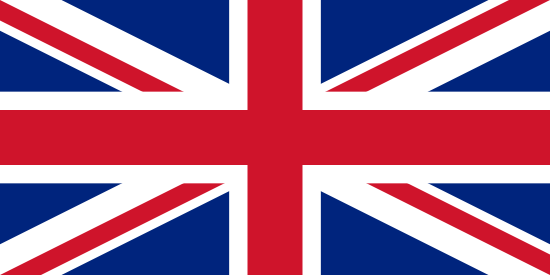 The company provides more office products and services to more customers in more countries than any other company, and currently sells to customers directly or through affiliates in 44 countries.